Are you paying too much for invoice factoring? How would you know? Read on to make sure you are accessing your working capital for the lowest rates, while also receiving fast turnaround and great customer service. There is often a collective sigh of relief when your company makes the decision to factor accounts receivables. The forms have been submitted and accepted, and the factoring process seems to be going as planned. Working capital is rolling in ahead of time, allowing you to keep up with payments on your day-day operations. However, the ability to feel in control of bill payment can often override the fact that you may well be paying too much for factoring, receiving slow service, and a mediocre customer experience. Consider cost - Do you totally understand the agreement you have entered into with your accounts receivable financing company? Were the fees and contract terms clearly explained? There may have been extra services suggested that would help you save money. Keep tabs on your agreement, and make sure any additional services you paid for are actually working for you and helping your business grow. Watch out for any hidden or undisclosed fees; don’t wait to be surprised once it is too late. Not all invoice factoring companies are the same! Consider speed - How quickly are you receiving funds? Is it taking 24 hours or 4-5 days for payment on submitted invoices? If the answer is 4-5 days, you may want to discuss why it is taking so long. Most experienced invoice factoring companies are supplying funds in 24 hours. How much are you being advanced? Is it 90% of the value of the invoice or less? If it is less, it is worth finding out why, and potentially re-negotiating with your factor. 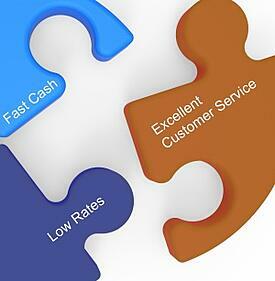 Consider customer service - How about the level of service you receive from your factoring company? Are you happy with the way your factor interacts with you and also with your customers? Do they respond quickly when there is an issue, and are those issues resolved in a satisfactory manner? Expect nothing less than excellent service from your factor. It is easy to feel so relieved about being able to cover your operating costs that you let small problems slide. Once factoring is set up with your customers, check in with them regularly to make sure they are being approached by your factor in a courteous and professional manner. Find out how to set up the best kind of factoring relationship. Bay View Funding has created an easy to read, informative guide on how to get the best service at the most competitive rates. Ensure that you are not paying too much for invoice factoring. Make sure the program you choose fits and works for your company. Download the guide, ‘Are you paying too much for Invoice Factoring?’ here.